To support economic development activities that foster a healthy environment for existing and new business, improve employee skills and wages, and encourage infrastructure development, while honoring the values, history, cultural diversity and natural beauty of the area and its people. Tri-County Economic Development District website, check out recent announcements and updates to our area. 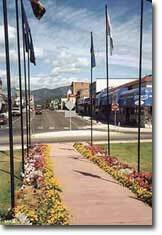 See the list of Pend Oreille County’s Major Employers by clicking on the site below.